In a (so far successful) attempt to have his rifle and/or pack voluntarily carried by his guide on steep ascents or dangerous descents, Ken Wilson has let his hair go white. "I highly recommend this ploy," Wilson says. Can you believe that Americans can travel to Iran with a rifle and ammunition, hunt, and return with their trophies as checked baggage? It's true and, I believe, constitutes a small but potentially important step toward improved relations between our two countries. 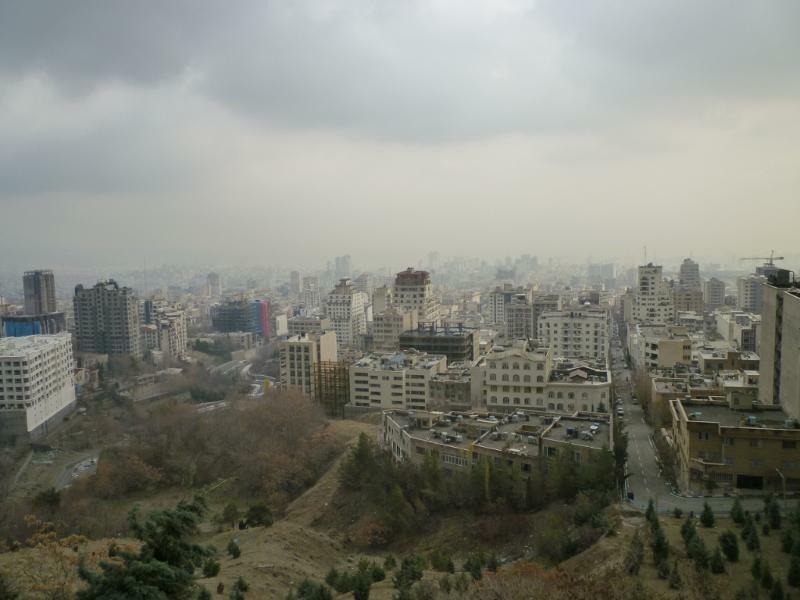 My son, Ryan, and I arrived Tehran November 1 and departed November 23. We hunted and toured with Jasmin Safaris (booked by Shunneson and Wilson Adventures). 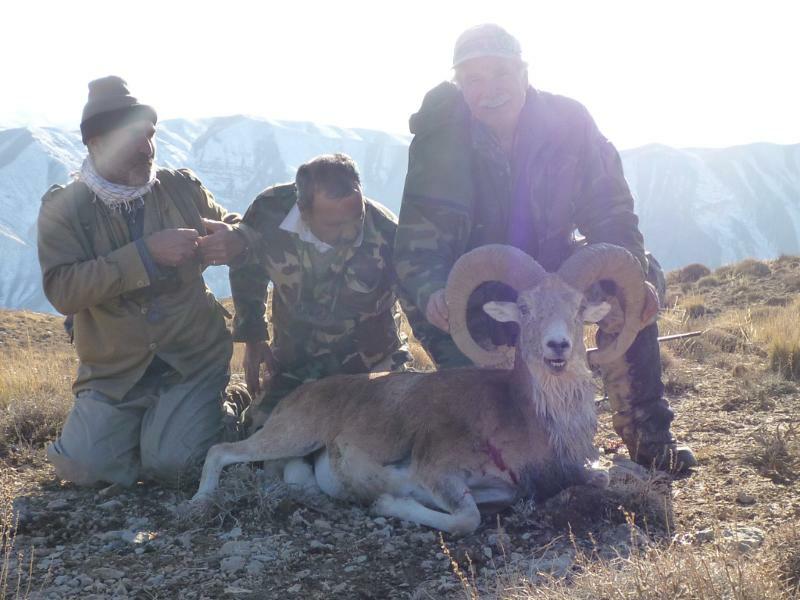 My first hunt was for Red Sheep in a transition reserve with Transcaspian Urial which explains the beautiful white bib and mostly-white ruff. 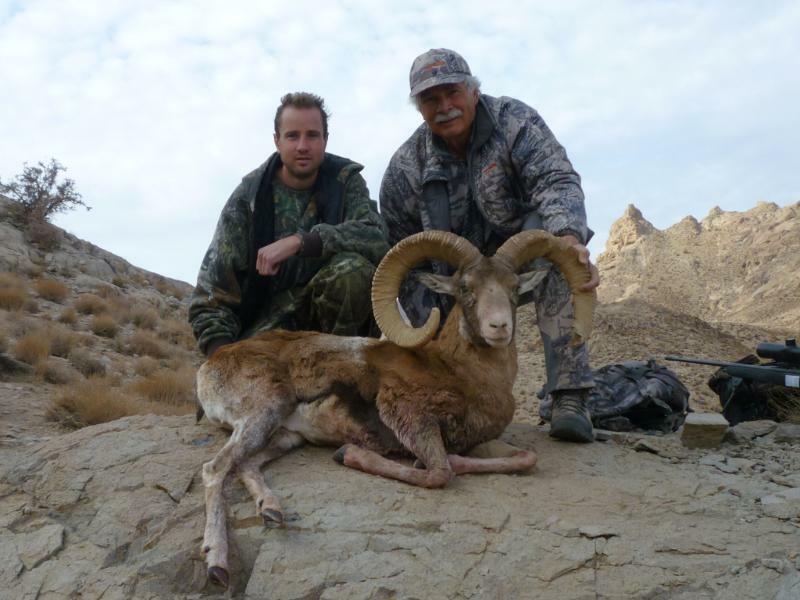 This ram was officially scored as a gold medal Red Sheep per the November 2011 on-line SCI record book. 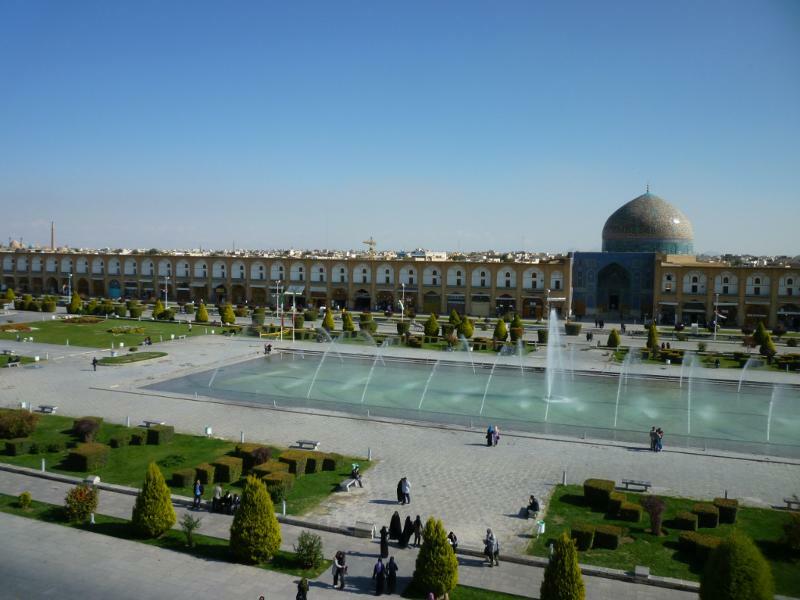 We then toured Esfahan and overnighted in that historic city. 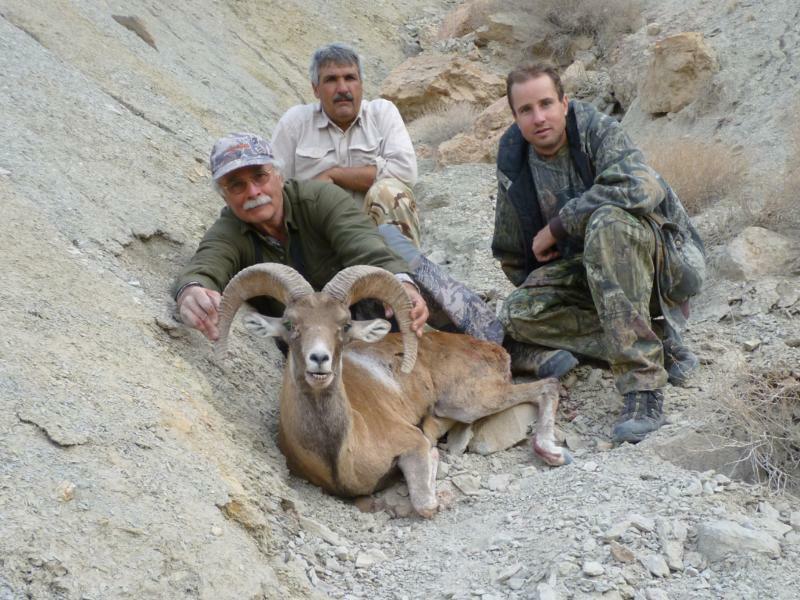 On my hunt for Esfahan Mouflon, I passed an 8-year-old ram early in the hunt in hopes of finding one of 10-12 years. On the last day, I settled for a 6-year-old. My hunting partner for this leg, Dr. Scott Hebertson, shot a beautiful 8-year-old. Ryan and I then visited Yazd, followed by my hunt for Kerman Sheep. I was fortunate to shoot a magnificent old warrior ... an SCI gold medal trophy officially aged at 14 years. My shot dropped the ram but, with his head still up, Ryan made a long hike and a 70-yard shot to finish him ... a great father-son day! The rules of importation of trophies from Iran by U.S. citizens are that they must accompany you as checked baggage. 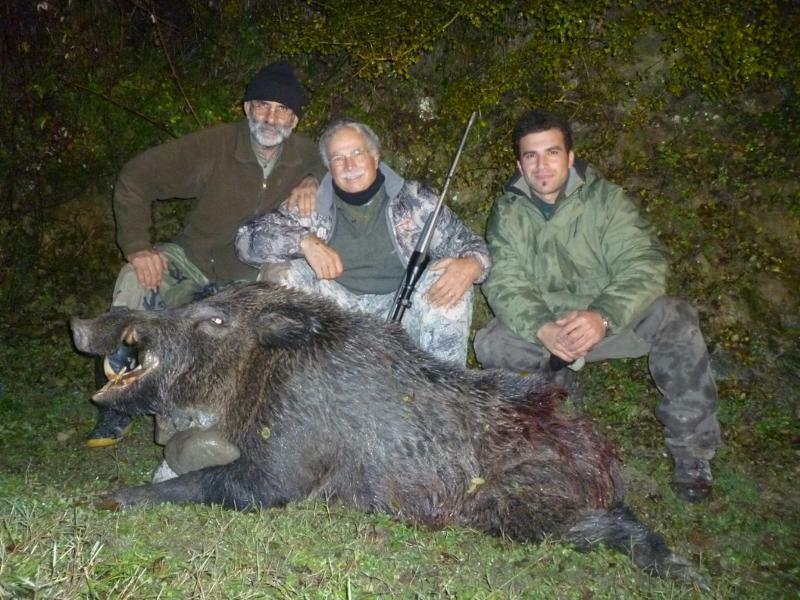 So while my sheep skins, horns, and skulls were being prepared, Ryan and I traveled to the forests near the Caspian Sea to hunt what are generally considered the world's largest Wild Boar. Ryan and I each shot gold medal trophies with heavy tusks of 9+ inches, which we also brought back with us to Texas. 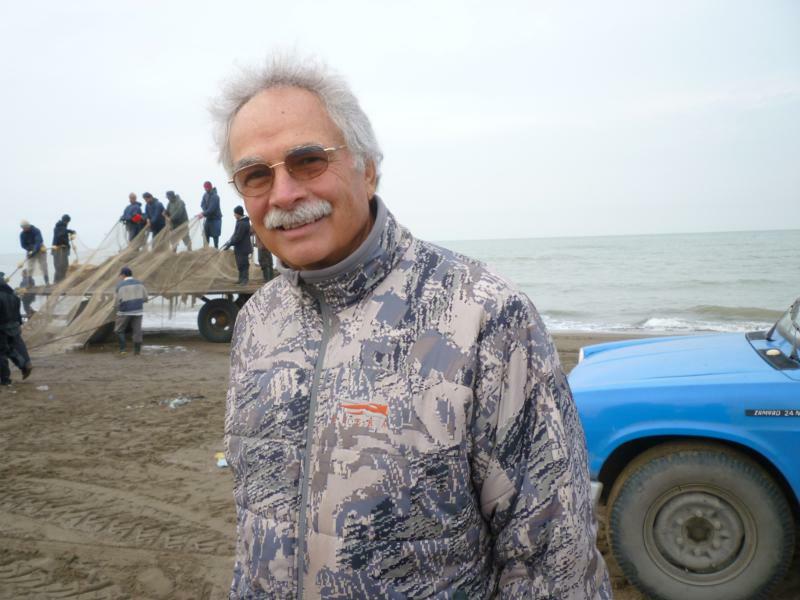 Shunneson and Wilson Adventures represents Iran Jasmin Safaris, Federico Gellini Tanzania Safaris, Uganda Wildlife Safaris, Jagdkontor European Safaris, Mashete Safaris-Namibia, and several North American hunting and billfishing adventures. Call Ken Wilson at 830-792-4200 or Lad Shunneson at 303-258-7777.